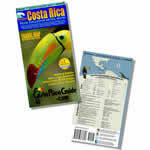 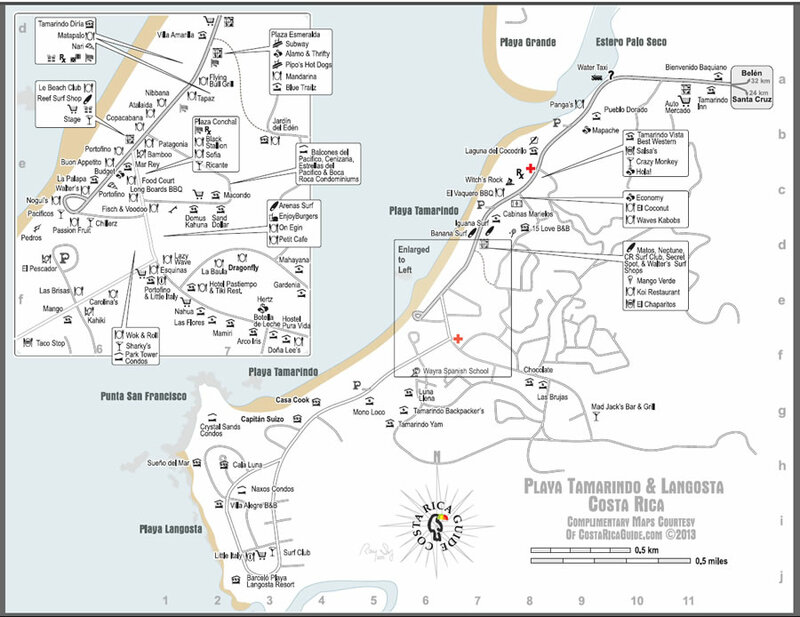 Free printable pocket map of the Tamarindo Beach and Langosta region plus the Las Baulas national park north and south sectors featuring hotels, resorts and lodges with approximate price ranges for each. 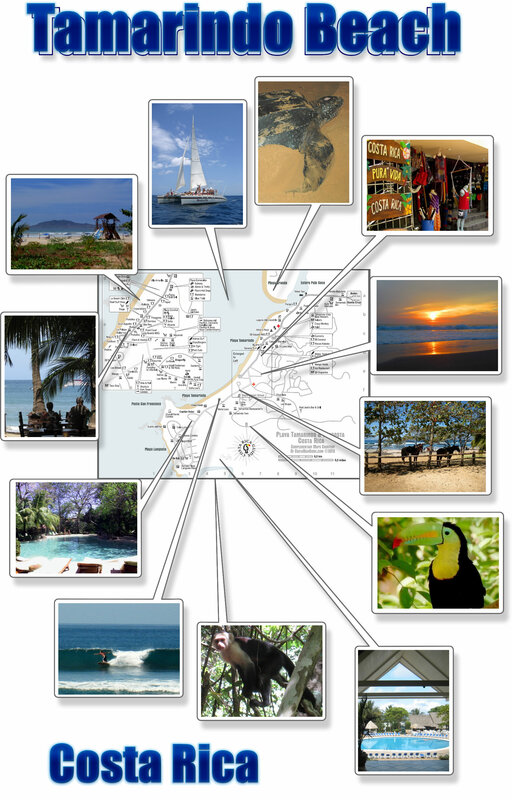 Food and entertainment categories include bakeries, restaurants (with symbols for seafood, pizza, fast food etc), night-clubs, bars, ice cream shops, supermarkets and pulperias. 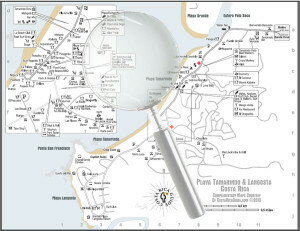 An inset detail map for the town center shows necessities like laundries, medical centers, internet access, police stations, ATMs, and banks, and a second page includes an index and a blow-up showing the routes for getting there. 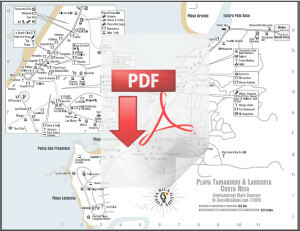 Both pages are automatically included in the pdf. 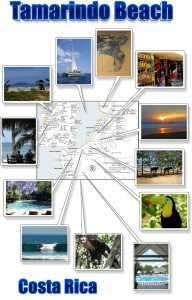 Natural features like streams, rivers, beaches and beach access plus the most popular tour locations are highlighted.